Beauty Pearl was the key for me (Diana Walker) - this is one of my very favorite Sunrider herbal products. This helped my PMS, depression, and mood swings. NOTE: BE SURE TO WATCH THE VIDEOS AT THE BOTTOM OF THIS PAGE - DIANA WALKER FIRST VIDEO, AND DR. REUBEN CHEN TALKING ABOUT SUNRIDER BEAUTY PEARL, SECOND VIDEO. We named this product for its purpose and its appearance. This one-of-a-kind formulation is designed to nourish the skin from within, so you can stay young, look young and feel young. The concentrated herbal extracts are contained in a pearl-size pill for easy ingestion. Ingredients: Honey, Korean White Ginseng, Chrysanthemum Flower, Royal Jelly Extract. Beauty Pearl is nutrient-rich food that was originally developed for the Empress of China to promote beautiful skin and preserve youthfulness. 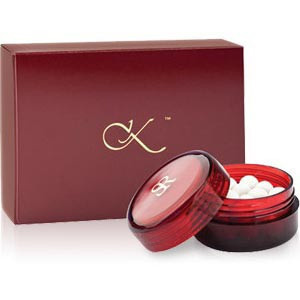 As part of the Kandesn Skin Care line of natural products that cleanse and feed the outer skin surface, Beauty Pearls provide the internal nourishment needed to promote hormonal system stability and supports beautiful skin from within. This formula, which is several hundred years old, comes to us from the ancient Chinese herbal manuscripts. The Chinese understood that true beauty came from proper nutrition. Beauty Pearls are not only for women, but men and children can also eat them. Men have reported feeling more centered and better able to deal with anger. Many men refer to Beauty Pearls as “Macho Marbles”. Have you ever known a man to be grouchy, cantankerous, and hard to get along with? Well, give him one or two Beauty Pearls a day, and watch his personality change. Now of course, that is within reason. Men have change of life, changes just like women do and the pearl can help "mellow-out" a man. So ladies, if you would like a more lovable husband—slip him a Beauty Pearl. Of course, Beauty Pearls are wonderful for women. They seem to have the ability to moderate and stabilize the natural processes of the hormone system, for both women and men. Many women have reported relief from PMS symptoms, including bloating and emotional instability. One child said about his mother that, "she doesn't have flames coming out of her head any more!" Beauty Pearl can also be very beneficial to women going through menopause. Many women have commented that their hot flashes went away and other symptoms balanced out. A teenager going through puberty is another great place for Beauty Pearl. Many parents have commented on how much easier life has become when their teenagers have just 1 Beauty Pearl per day. Good results have also been achieved in controlling acne and other hormone-related skin conditions. Since she began eating 4 to 5 of these nightly, one delighted Sunrider says she has been accused of having a face-lift! A mother reported the remarkable experience of her 6-year-old daughter, who was suffering from migraine headaches. Although they were careful with her diet, nothing was helping. From the first Beauty Pearl, the child experienced no more headaches. 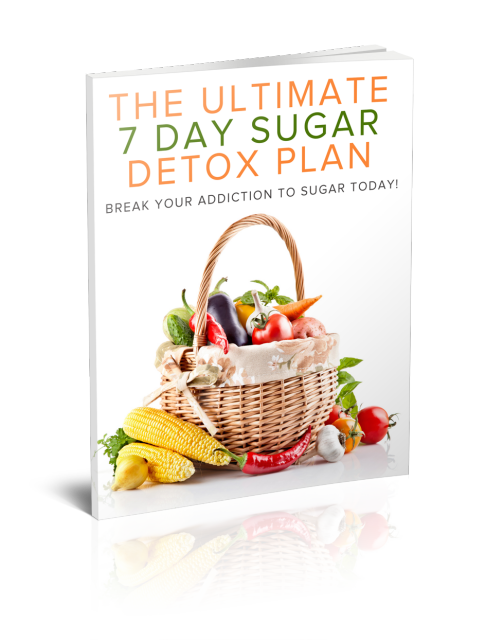 * Helping to re-establish normal, stabilized hormone system balance for both men and women. * Cell nourishment for the skin all over the body. * Improved skin texture and conditions. * Promotes moisture retention on the face and other areas of the body. * Enables the body to better assimilate other foods rich in vitamins and minerals. * Promotes youthfulness and a positive attitude. * High in assimilable calcium. For attractive, healthy new skin and emotional support, swallow 1-2 Beauty Pearl every day. When eaten at night, it may also promote more peaceful sleep. Honey is a natural sweetener, which has been used as an ingredient in skin-care and personal care products for centuries in many world cultures. Korean White Ginseng is a regenerative food, which nourishes the muscles, benefits the nervous system and helps to balance the function of the hormone secretion especially related to the reproductive organs. Many women in North America don’t eat any food, which nourishes their reproductive organs. Maybe this is why women’s problems are common in our culture. The reproductive organs and other endocrine glands regulate the balance of the skin through hormone function. Radiant skin thus is a result of healthy glands. Korean Ginseng seems to have more of a cooling effect on the body, and is good for hot climates, as well as, for hot flashes. The Chinese eat ginseng all the time for energy, strength, and endurance. Athletes who want to increase their endurance and performance commonly eat it. Korean Ginseng is very nourishing to the mind and nervous system. Royal Jelly Extract is a food produced by the “worker bees” for the “Queen”. It is a highly nourishing food that prolongs her life 30x that of the other bees and also makes it possible for her to lay the eggs for the hive. Research has found this food to be extremely beneficial to the skin, with proven healing and nourishing properties. Royal Jelly is considered perhaps the most complete food; proven to have healing and regenerative qualities. The extract contains 18 amino acids or protein, pantothenic acid, B vitamins, and numerous minerals. If you would like to know more about the Sunrider Beauty Pearl I have used successfully for 10 years, please Contact me or Subscribe to Diana's Healthy Lifestyles here. This is my favorite Sunrider® product. For at least 10 days a month, I was a crazy woman!! I would shout at my kids in the morning, trying to get us all out the door, to school and work. I felt so stressed, pressured, and out of control. Then I would feel remorseful. I would promise myself I would be calm and organized the next day - and yet I would find myself ranting and raving again. Then I found Sunrider, nutritional products, which helped me every day of the month to be the calm, centered person that is the real me! That is why I am called the "former PMS Lady"! My son said "Mom, you don't have flames coming out of your head any more! My PMS and mood swings are gone. Other added benefits include an inner calm, sugar cravings gone, and my old energy back, no drugs. One of Sunrider's first products, Beauty Pearl helps women look and feel more confident. Beauty Pearl; contains a unique blend of natural vitamins, minerals, essential amino acids, and antioxidants. I formulated Beauty Pearl™ with dong quai, ginseng, essence of pearl, and other nutrients to help women of all ages. Beauty Pearl™ has many wonderful benefits. It nourishes your skin and can improve your complexion. For the best results, I recommend using Beauty Pearl with our Kandesn skin care products.